On Wednesday the 29th of November, case the Office of Public Works, illness uncovered a vast array of seventeenth century artefacts at Rathfarnham Castle, just ten minutes from the Belfield Campus. The find gives a glimpse into the “lavish lifestyle” of one of Ireland’s “most elite households” of the period as Ireland stepped “out of its medieval robes and into the early modern era”. UCD Alumna and archaeologist Alva Mac Gowan spoke of her experience working on the site. The castle was built in 1583 by Archbishop Adam Loftus. It is believed the items discovered belonged to the family of Lord Adam Loftus, his descendent who lived there in the mid-1600s. 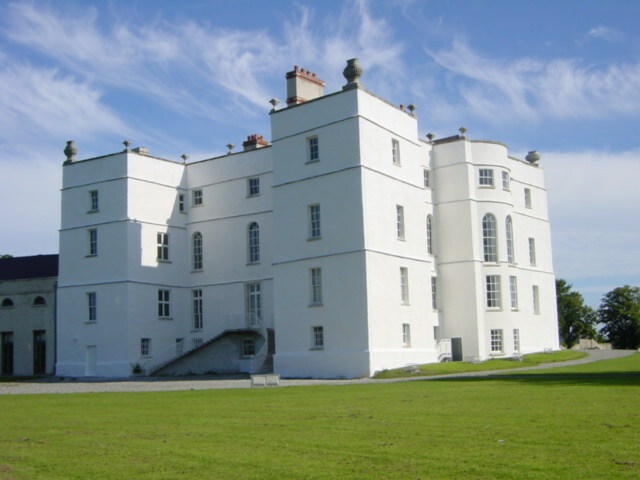 The 350 year old castle in Rathfarnham which is managed by the OPW, is currently undergoing renovations. The castle is a listed national monument and so the work is under the supervision of archaeologist Antoine Giacometti. When an eighteenth century floor was removed in order to install a new lift shaft, a fill rich in 17th century artefacts was found below. According to Mac Gowan, the items had been discarded and not hidden in the fill in order to raise the original 18th century basement floor. The discovery was sheer luck. Amongst the items discovered were porcelain china, wine bottles, shot glasses, food, tea, coins, ointment jars, wax letter seals and a piece of Cromwellian armour. Due to the damp airtight conditions, the materials were well preserved. The findings show that the Loftus’ were an “extremely fashionable family”. The porcelain china along with the tea may indicate an early start to consumerism. Neither tea or porcelain were available in Ireland or England until the late seventeenth century. The Loftus family would have imported these “extremely expensive” items from China, which they would have used to show off to their guests and neighbors. These items mark the “birth of modernity” in seventeenth century Ireland. The discovery of Cromwellian armour was one of the most exciting finds, according to Alva. While it does not confirm the old myth that Cromwell himself stayed in Rathfarnham, it strengthens the link between Cromwell and the Castle. It is likely Cromwell’s men took over the castle in the mid-1600s. For Alva, the fact the items were found in their original setting in a building which has so much history attached helped “bring the artefacts to life even in the very early stages”. The fact that the castle is managed by the OPW is a “blessing,” as their significance will be appreciated, “ensuring their conservation”. The castle is expected to re-open in 2015, where the items will be exhibited in a custom built space “within the building that housed it 350 years ago,” a “unique result” for an historic discovery.